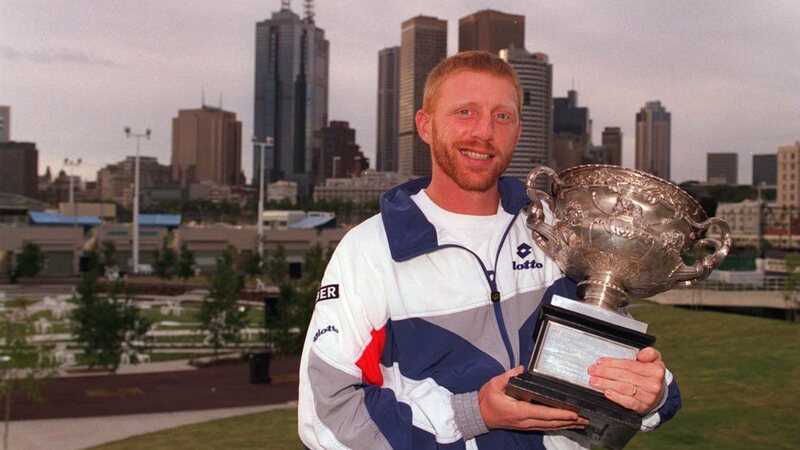 There was an odd symmetry to what Boris Becker accomplished twice on this day. In both cases, he won indoor finals versus the reigning world number one. In both cases, Becker snapped his opponent’s 21-match winning streak. And in both cases, Becker rallied from two sets to one down to earn the victory in five sets. In 1991, in the finals of the Stockholm Open, Becker took on the man he’d played in three straight Wimbledon finals, native son Stefan Edberg. The Stockholm court was one of the slickest courts in the world. The rallies were ruthlessly staccato. But Becker, having already earned wins over Pete Sampras in the quarters and Jim Courier in the semis, was feeling his own distinct brand of confidence. In front of a crowd of 14,000, Becker won the match by the rather rollercoaster-like score of 3-6, 6-4, 1-6, 6-2, 6-2. Becker won 49 ATP World Tour titles, including six majors. His trademarks were the comeback and the close. Becker longstanding saying – “the fifth set is not about tennis” – was likely what compelled Novak Djokovic to bring him on to his team at the start of 2014. Prior to that, Djokovic had lost four of his last five Grand Slam finals. Once aligned with Becker, he went on a tear, winning six of nine before the two parted ways at the end of 2016.